The song will be out tomorrow (Friday, June 1) and will stream exclusive on 9XM 6 pm onwards. Allah Duhai Hai has been a song which has been with the Race franchise since the start. The last two versions of the song in the previous franchises were the biggest hits of that year, and this one too promises to be the same. Amit Mishra, Jonita Gandhi and Sriram Chandra have sung it on Tushar Joshi's composition. The lyrics have been penned by Shabbir Ahmed and Shloke Lal. The original song was composed by Pritam with lyrics by Sameer. Talking of the film, Salman has stepped onto the shoes of Saif Ali Khan, who is not a part of Race 3. Also, loads of new additions to the star cast are there in this installment. Bobby Deol, Saqeeb Salim and Daisy Shah make an entry into the franchise. Anil Kapoor, who has been a part of the previous two installments as well, is back to wow fans in his inimitable witty style. Jacqueline Fernandez is also back to sizzle the screens after Race 2. Not just has the star cast changed, even the directorial reigns moved on from Abbas Mustan to Remo D'Souza. 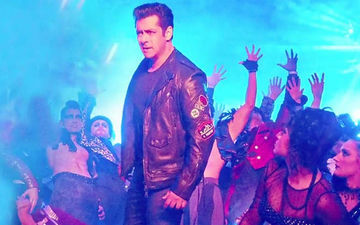 Salman is riding high on the success of his last flick, Tiger Zinda Hai (2017), which broke numerous box-office records. Will Salman be able to do the same with Race 3? Only time will tell.